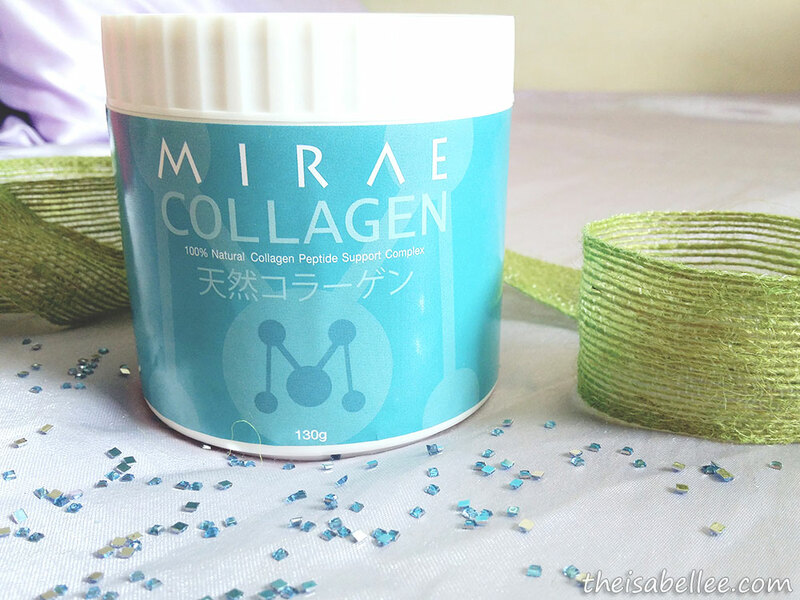 Isabel Lee | Malaysian Beauty & Lifestyle Blogger: [Beauty] Mirae Collagen Review - No Colour, Taste, and Odour! 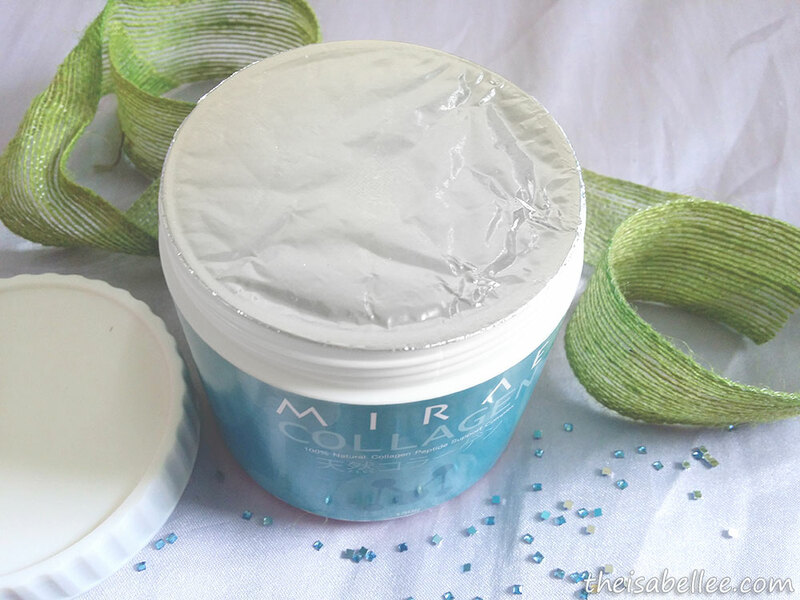 [Beauty] Mirae Collagen Review - No Colour, Taste, and Odour! 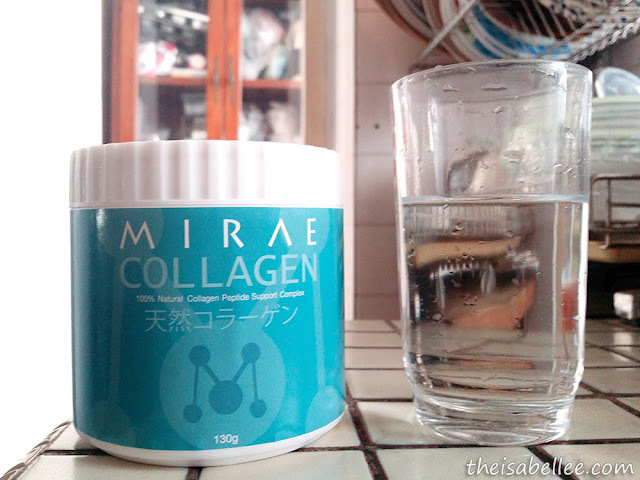 My latest test subject - Mirae Collagen, 100% natural collagen peptide support complex all the way from Thailand. For the first week, take 1 full scoop daily before bed. 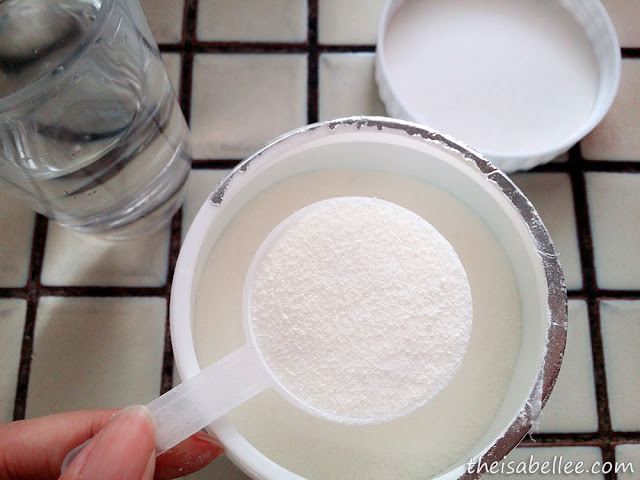 After that, reduce to half scoop (5g) only. I found it strange that they used a round scoop so it's hard to actually estimate how much is half scoop. If this is the recommended dosage, you should have considered that in the production of this spoon. The powder itself is really fine and white so stay away from fans! NO Colour, Taste and Odour! Honestly, I sniggered when I was told that this collagen has no fishy taste. For reals? 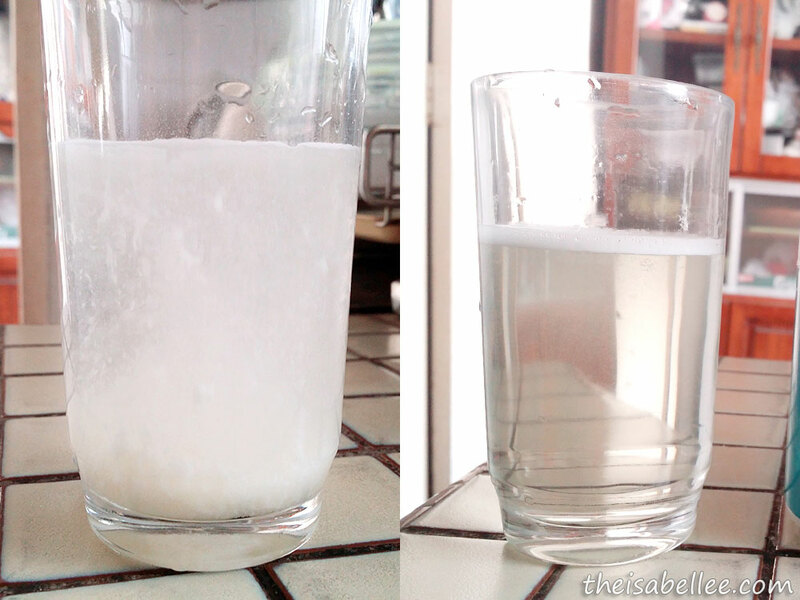 I'm not new to collagen drinks so don't try to cheat me by telling me it doesn't taste like fish. That was until I tasted it. Lo and behold! It actually does not taste fishy! And they were telling the truth about it being colourless and odourless. It looks almost like water and I barely detect any taste. Collagen drinks are awesome - they don't only make your face look better but remember that they also repair your body as collagen is not only on your face. 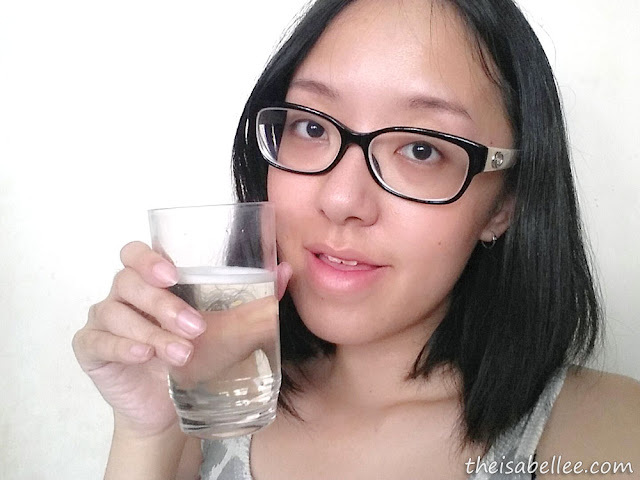 This might be the reason why I don't see any vast effects apart from lightening of pimple scars around my jaws.